Our Equine Bedding – Top Choice for Horse Bedding in Staffordshire! The premium, high quality Cheshire Choice equine bedding is guaranteed to give excellent results consistently. This is one of the only makes of horse bedding in Staffordshire that is made of 100% soft wood shavings which means that it provides the ultimate comfort for your horse, whilst at the same time lasting longer because of the high standard of quality. The absorbency levels of the bedding are also excellent, guaranteeing that your horse has a dry and comfortable home. Our unique Cheshire choice equine bedding is also temperature adjusting meaning that it will stay warm in the winter and cool in the summer. We also keep our Cheshire Choice horse bedding in Staffordshire free from chemicals and free from dust to help prevent illness and respiratory problems, both for your horse and for yourself. Quantities start from one pallet (40) to 18 pallets (720), and outside storage covers are available on request for weather protection. Overall, we can say confidently that choosing Cheshire Choice equine bedding is the best decision you could make with regards to the comfort and happiness of your animals. If your animals are happy, we’re happy! 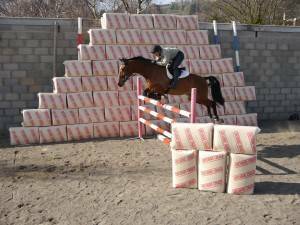 Our Economy-Bale equine bedding is a fantastic choice for a lower cost, economical bedding solution that still provides your horse with a comfortable, warm bed but doesn’t break the bank. This is one of the most affordable horse bedding in Staffordshire, and is double dust extracted, so the shavings are hygienic. This also ensures that the shavings wont cause undesirable respiratory problems for you or your horses. The shavings are a mixture of both hardwood and softwood, so it’s easy to clean out your stable, they can also be used with rubber mats. Our Economy-Bale bedding is highly stocked due to its popularity and high demand, so you will never have trouble ordering. All in all, our Economy-Bale equine bedding is highly convenient, easily affordable and it is guaranteed to make your horses happy. If you are interested in either our premium horse bedding in Staffordshire such as Cheshire choice bedding, poultry bedding, or our economy-bale equine bedding, please do not hesitate to contact us today for more information.